Description The ice world is under attack! Put out all the flames to save the ice world. 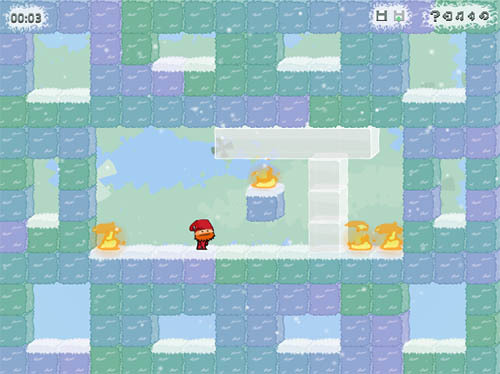 Controls Left and Right keys – move hero, push ice to a new position and climb up on a block. Space – create ice beside hero, in the direction which he is facing. If ice alreadey exist there, it will be removed. 5 – save level state. 9 – load level state. Nice puzzle platformer with interesting levels and relaxing music.